Abused MEN! The other side of the abuse issue. There is evidence that there are more abused men then women now. All abuse is wrong but men do not have a place to go. Even the church overlooks this problem. Come here and let us explore this together from a Biblical point of view. JESUS CARES AND we DO too! Early Sunday Morning, April 1st, 2007 someone hacked into my account and deleted the interactive group for Shattered Men. This is where most of the work for Shattered Men was done. They also gained access to the e-mail account that we used which contained confidential information from our membership both as an ordained minister and as a registered nurse but it appears they simply deleted that as quickly as they could but we lost several thousand messages there too. You can now promote this ministry by printing and cutting these cards out to give to your pastor, friends or others that need to know about this ministry. We recently had to renew our domain name (shatterdmen.com) It has been brought to our attention that often when a web site does not renew their domain name before it expires pornographic sites often buy them up so that when someone accesses that site they get the pornographic site instead. If you find dead links, please let us know this also. If you have something you would like to suggest or a first hand story to tell in our real story section, please e-mail it to us with the subject "Shattered Men"
women who believe in individual freedom and personal responsibility. 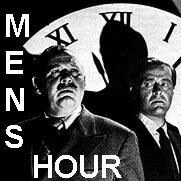 You can listen to The Men’s Hour on either Windows Media Player or RealPlayer. This book is a Free Public Domain publication, placed here to help Fathers and those scholars seeking to understand the present Aparthied being inflicted against American Males and especially, the Institution of Fatherhood. Please freely disseminate and publicize this work that will remain in the public domain. Fathers, who need to fight this system, will be armed with the facts and figures which are applicable to this war against them. Those so armed, will be able to enforce their rights as Fathers, to their own children, and defeat those working against Fatherhood. Author's information has been catalogued after many years of study of this Domestic Enemy which invents Fatherhood into a crime, and inflicts a needless war against them in which to obtain money, power, and the ability to usurp and overthrow the foundation of our free society: The American Home and Family. This topical search feature is provided by Logos Research Systems. I would like to thank my lovely wife, Lisa for her support.